Christina Esposito fires a shot. The senior has led the Cats through turbulent times in her five season at NU. Senior attacker Christina Esposito walked off of a college lacrosse field for the last time Sunday, as the Wildcats came up short against host Stony Brook in the second round of the NCAA Tournament. For Esposito, Stony Brook will go down as the last field on which she will ever play college lacrosse. But the field carries deeper significance for the veteran, as it’s the same field Esposito saw the Wildcats win their last NCAA Tournament title in 2012, convincing her to commit to Northwestern. Five years ago, the Cats rolled past Notre Dame, dominated Duke and edged out Maryland to set the team up to win its second-straight championship. NU only had Syracuse in the way of winning its seventh NCAA Tournament title. With 10 minutes remaining, junior midfielder Taylor Thornton broke a 6-6 tie, scoring what would be the goal to secure the program the championship. The Cats walked away from Stony Brook, boasting their seventh title in eight seasons, reaffirming what the lacrosse world already knew — no one could beat Northwestern. But following the Cats’ victory, the team graduated six seniors, including star scorer Shannon Smith, who won the 2011 Tewaaraton Award as the best player in the country. NU, however had trouble recruiting. Despite its reputation, the team failed to land a single top-5 recruit. However, the back-to-back champions managed to lock up their future scorer, Christina Esposito, the No. 9 recruit in the country. Following the 2012 season, NU needed to find Smith’s replacement. The program turned to its old pipeline — West Babylon High School in New York. Smith was a standout at West Babylon, scoring 505 goals during her high school career. But she was old news in Long Island, New York, as Esposito had adopted the West Babylon offense as her own. Esposito was the Cats’ lone top-25 recruit, a two-time All American and, most importantly, the lethal scorer the team needed. The New York native announced her commitment to NU in November 2011, but it wasn’t until after the Cats took down Syracuse in May that the program locked down its star recruit. Come 2013, the team was in a period of transition, figuring out how to configure a lineup that would best replicate its historic offensive prowess. Esposito was immediately thrown into the mix as a freshman, but the promising prospect pulled up short, suffering a season-ending injury just eight games into the season. The NCAA awarded Esposito a medical redshirt, granting her an extra year of eligibility. But the injury set the team back, as the Cats failed to qualify for the NCAA championship match for the first time since 2004, losing to eventual champions North Carolina in the Final Four. Kelly Amonte Hiller, however, was still the model coach, and though the team didn’t lose faith, next year had to be different. The Cats fell short again in the semifinals of the NCAA Tournament, succumbing to top-seeded Maryland by a narrow 9-6 margin. After five years of long practices and emotional losses at Lakeside Field, 2014 would be the closest Esposito would ever come to winning a title. Following disappointing 2015 and 2016 seasons, Esposito had one last shot this year at bringing a title home to Evanston. 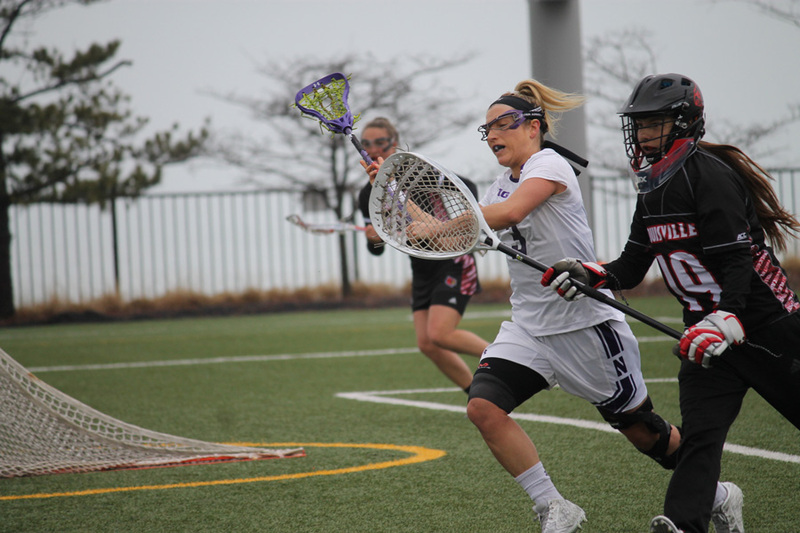 But a season-ending injury to star midfielder Selena Lasota and a tough schedule plagued NU. The Cats qualified for the tournament, beating Albany in the first round, but Stony Brook got the better of the injury-riddled NU team. Five years later, Esposito was back where she started, watching her team leave Stony Brook, New York, but this time empty-handed. Following the loss, Amonte Hiller commended the seniors, noting their hard work and contributions to the program. Christina Esposito races past a defender. The attacker was the focal point of NU’s recruiting class in 2012. Esposito wasn’t able to continue NU’s dynasty, failing to win a title in her five years with the Cats. But the graduating attacker took more from NU than just winning. The senior said playing for the Cats provided her with invaluable life lessons. The fifth-year senior has been through the emotional ups and downs of the program. But reflecting on her time playing at NU, Esposito couldn’t help but notice both how much she has changed and how much the sport has changed around her. She said comparing lacrosse when she committed to NU and at the end of her career is like night and day, and she’s amazed by how much the sport has progressed. The attacker said the changes to the sport are apparent in all facets of the game, from the development of new top programs like Colorado to the improved gear the team receives from Under Armour. As for the future of Northwestern lacrosse, the team faces another crossroads. Five years after winning its last national title, the team is in need of a restart. With Esposito at the helm, the Cats built a new style of lacrosse this season, relying heavily on the surging sophomore class. Defender Claire Quinn, attacker Liza Elder, goalie Mallory Weisse and defender Nell Copeland complemented Esposito, bringing a new aggressive playstyle to the team. But with Esposito on her way out, it will be up to the sophomore class to lead NU into the future, marking the next chapter of Cats lacrosse. Esposito has noticed the work ethic instilled in the sophomore class along with contributors like freshman attacker Megan Kinna. 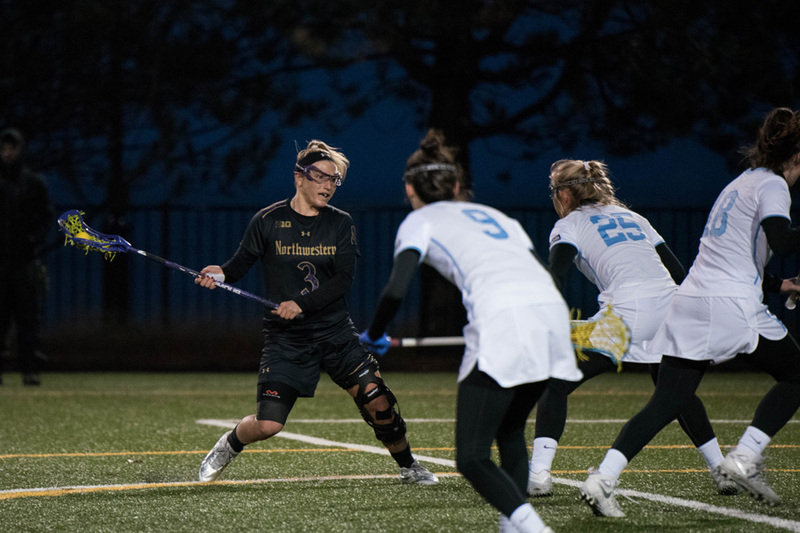 Although the senior will go down in NU history as never having won a title, Esposito will go down as the player who transitioned an old dynasty of Cats lacrosse to a new one.